If the image of jalousie windows stirs up your good memories of a simpler time, you are not alone. At Archadeck of Central CT, we have seen these retro-vintage-inspired windows increase in popularity lately. Specifically, clients adding a 3-season room or sunroom have been asking for them. Not everyone can remember what they’re called, because the name is not something you hear every day, but almost everyone recognizes the jalousie window in a magazine or photo online. They give your room a retro look — some might call it whimsical. Perhaps your grandmother or great aunt had these windows on a porch or 3-season room, and seeing them now reminds you of your visits as a child. Today’s jalousie windows do come with a side order of nostalgia. The jalousie window features a column of parallel glass or acrylic slats, like louvers, and the column of slats runs all the way from the top of the window frame to the bottom. 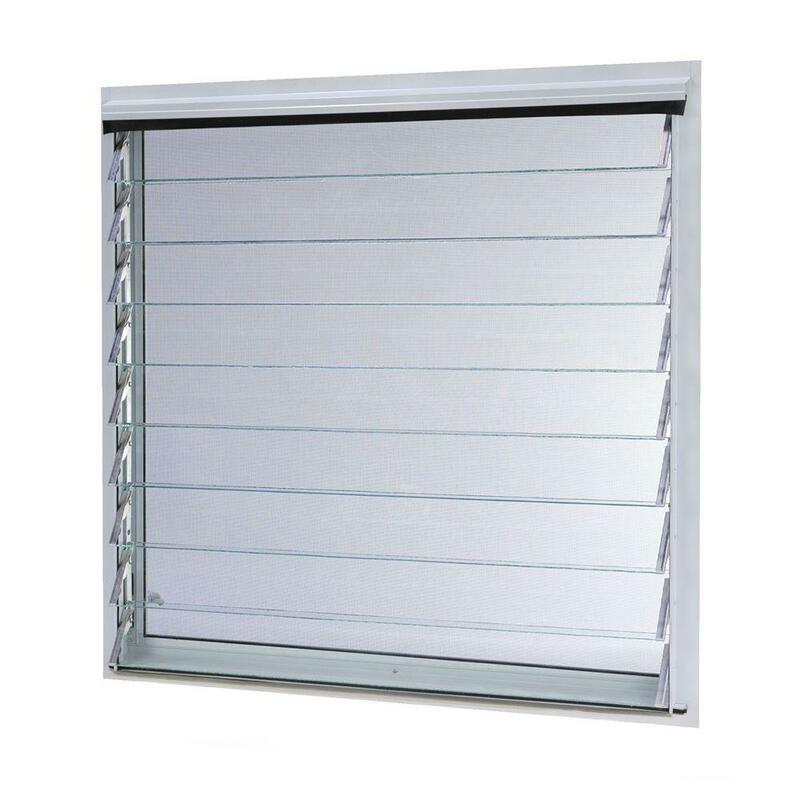 The angle of the slats is adjustable by a crank on the side of the window. All of the slats move at the same time, in the same direction, when adjusted. 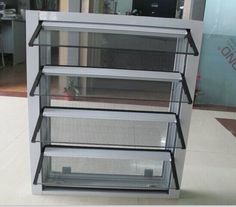 The difference between slats and louvers is that louvers (on a louver door, for example) are stationary while a jalousie window’s slats are adjustable. When the jalousie window is completely open, the slats are positioned horizontally, and there is a gap of a few inches between each slat. When the jalousie window is closed, the slats are tight and almost straight up-and-down. What keeps them from closing completely flush is that they overlap. The top of one slat rests on the bottom of the one above it. Besides the retro appeal, why do our clients request jalousie windows? First, it’s all about the breeze! No other window allows as much airflow, so these windows were treasured for maximizing ventilation in the days before homes had air conditioning, especially down south. Today they can remind us of days spent in Florida, Hawaii or the Caribbean. In our New England climate, we enjoy 3-season rooms because, when the temperature is right, we can open the windows and bask in the fresh air. But modern window systems only allow some window panels to open while others stay shut, so you never achieve maximum airflow. The jalousie window, on the other hand, opens fully, providing as much airflow as a screened porch. Speaking of screens, today’s jalousie windows can include screens so you don’t suffer pesky insects while you’re enjoying the fresh air. Price: Jalousies are more cost-effective than many other window systems. Inexpensive to repair: If one slat is damaged, you don’t need to replace the entire window, just the one slat. Keeping rain out: With jalousie windows, you can leave the windows open while it’s rainy outside, as long as it’s not raining extremely hard. Because you can position the slats at a downward slant, the rain will not run into your home through the open windows. Unobstructed views: These windows allow the least-obstructed view compared to any other windows except the picture window. If you prefer a window that doesn’t require curtains or blinds for privacy, you can select jalousie windows with wooden slats instead of glass. Closing them will keep the light out, and opening them will let light in — as well as the outside air, of course. For a compromise between light and darkness, you can choose frosted glass slats; these provide some privacy while allowing some light into the room as well. Not completely watertight: If a heavy, driving rain is aiming right at your windows, these windows are not sealed as completely as others. During a torrent, rain may seep in even when the windows are closed. Not airtight: The construction of the jalousie window does have some gaps, so these windows will never seal a room as completely as other types of windows. Homeowners find these windows are best suited for a room they’re not trying to heat and cool throughout the year. Archadeck of Central CT can help you determine whether jalousie windows will be right for your outdoor living space in Avon, Farmington, Cheshire or anywhere else in Central Connecticut. We are the designers that build, as opposed to builders that design. Call us at (203) 793-7142 or email us:.